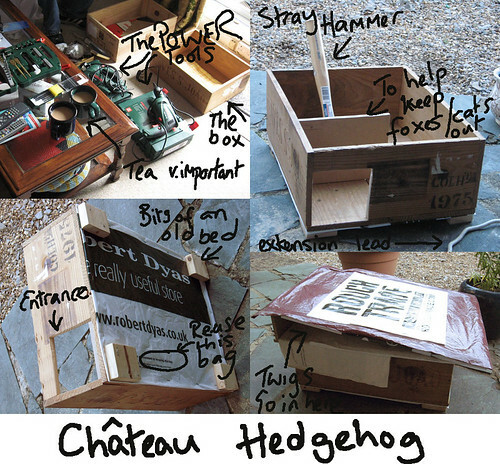 How and why we built a Hedgehog House! A hedgehog has decided to live under our bbq. Out of sheer desperation to actually use our bbq we decided to spend our bank holiday building it a new home for the coming winter. The box is an old used wine crate kindly donated by the local liquor store and the waterproofing is mostly re-used plastic carrier bags (one of them is from a well known and much loved independent music store). We hope he moves house soon!